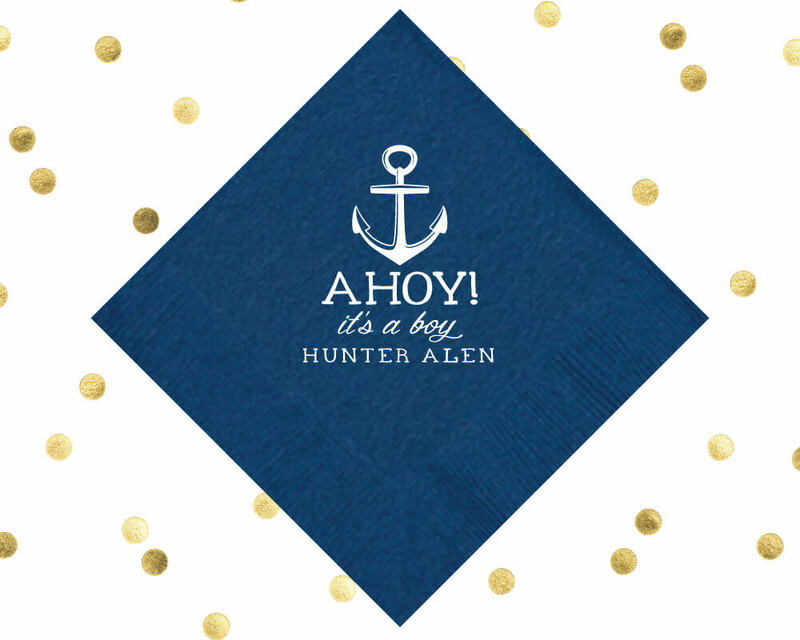 Your Baby shower napkins can be personalized to make them extra special. You may not know it but putting simple details on your table napkins will make your event lovelier and more customized to impress your guests. 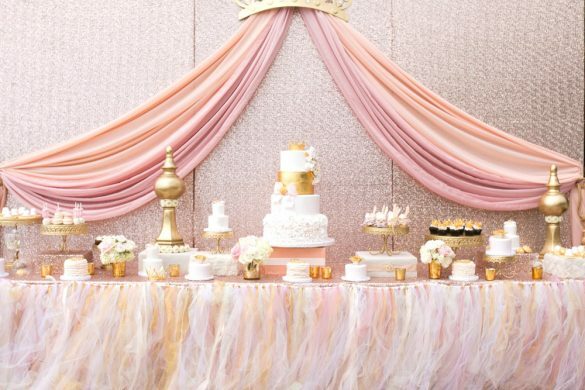 There are so many ways to make table napkins look more amazing rather than just being folded and used during a meal. 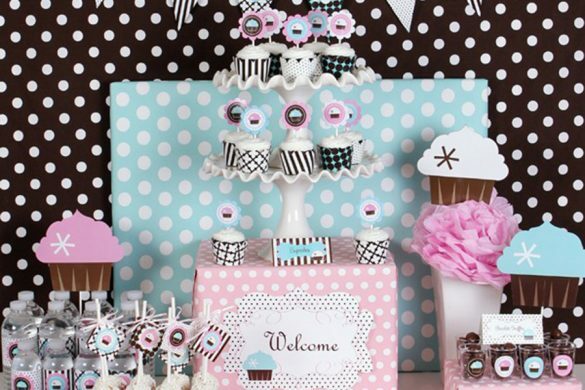 You can have them presented in a creative way to further wow your party guests. 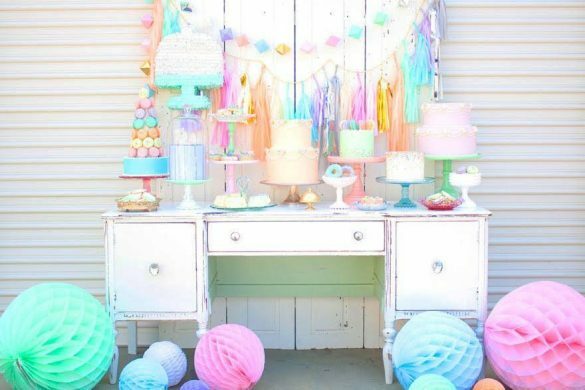 Do you think that table napkins can have a great impact on your party preparations? 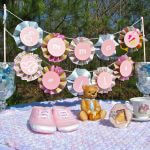 Well if you do, then check out the following table napkin ideas for your baby shower. 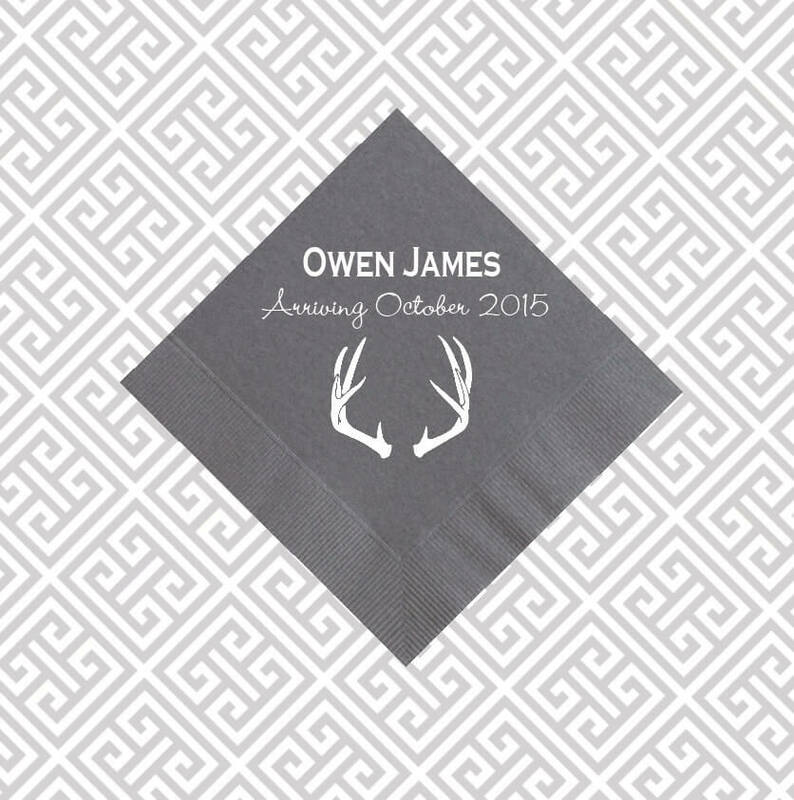 Custom made table napkins are always a big hit. 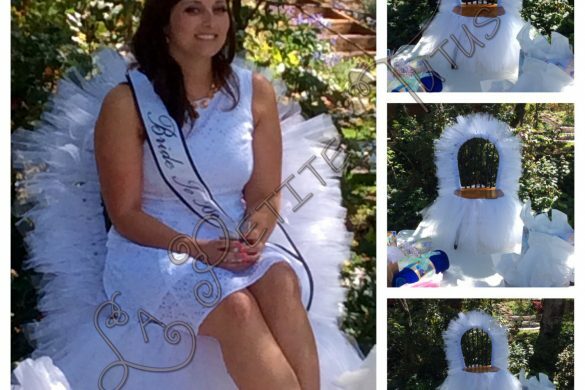 They are available in all shapes and sizes plus they are already printed with a picture, design, and your party venue information. 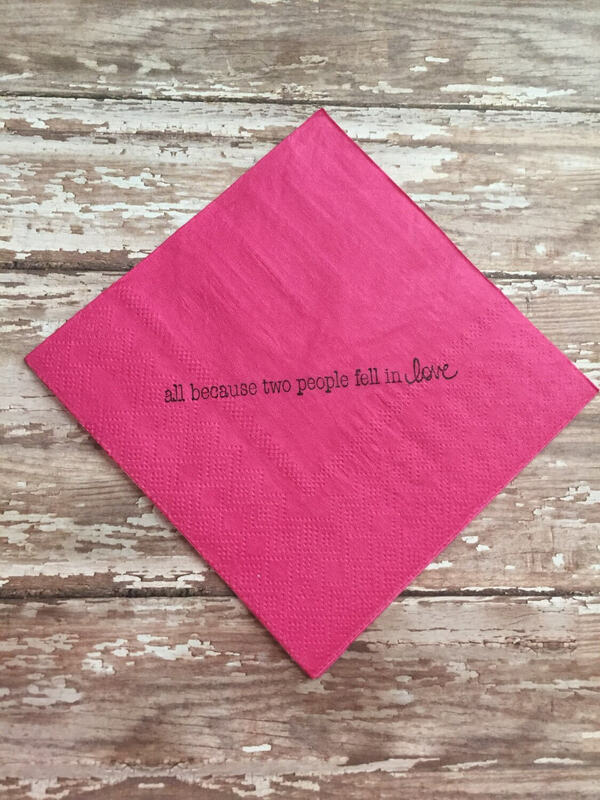 You will love these napkins since they are available in every color shade so you will easily match your shower’s theme and the party’s theme color. 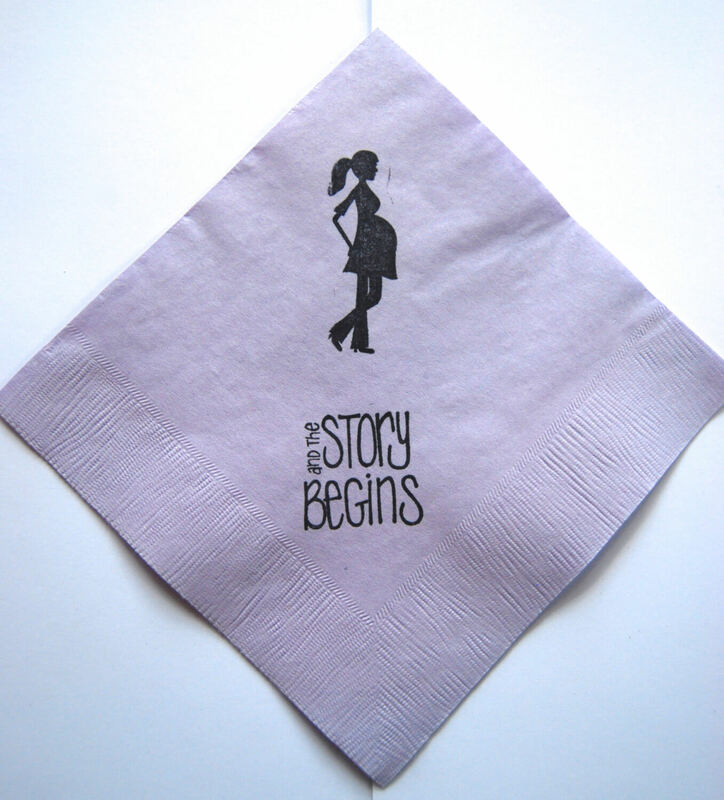 If you plan to customize your table napkins, order them at the earliest possible time. 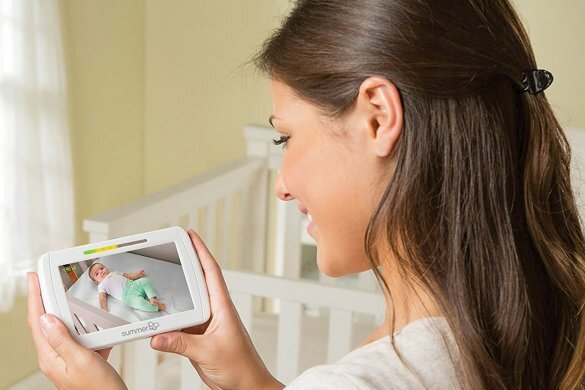 Be sure that the manufacturer understands your instructions. 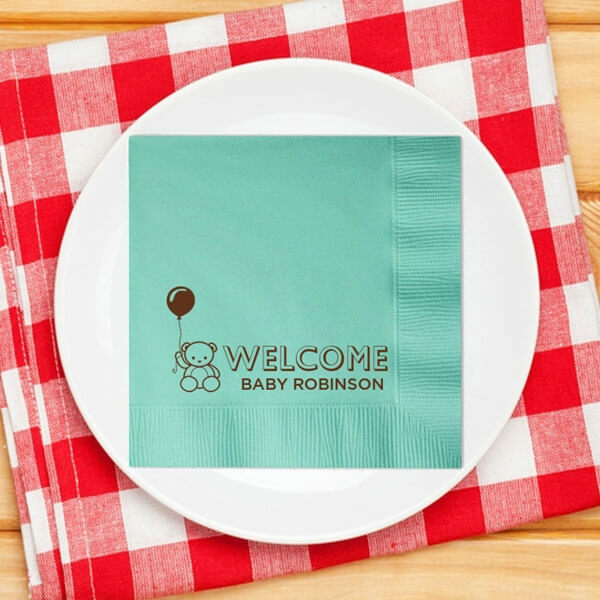 And be sure to check and double check the templates that will be used to print your personalized table napkins. 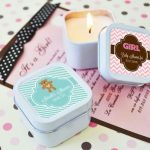 If you have some DIY magic, there is no reason not to make your own prints! 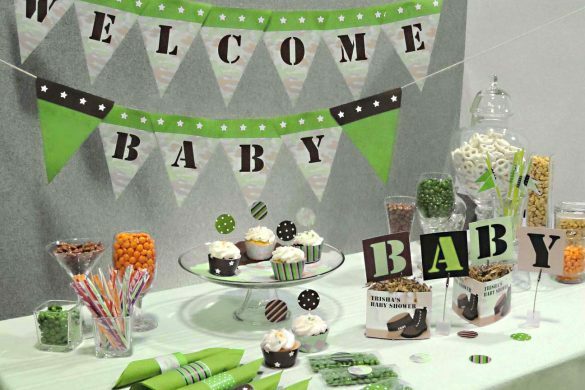 You can make your own baby shower napkins by using ready-made stamps or vegetable cut outs to personalize your napkins. Are you using cloth napkins? 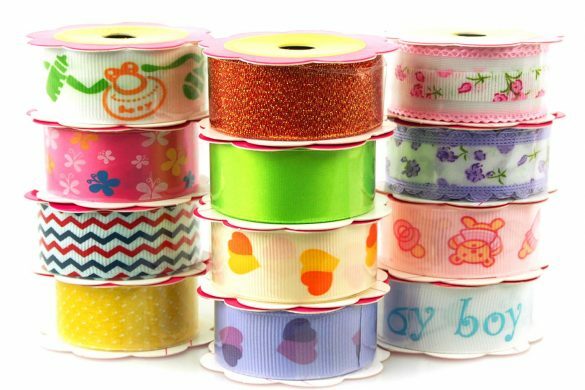 Stitch a few flowers or your initials on one corner of the table napkin. 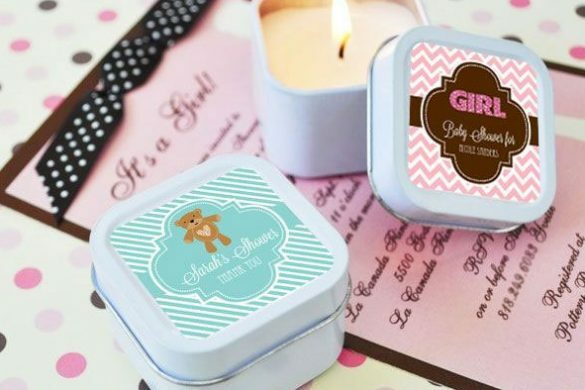 They will also make great keepsakes instead of tableware. Folding your table napkin is another thing you can make special. 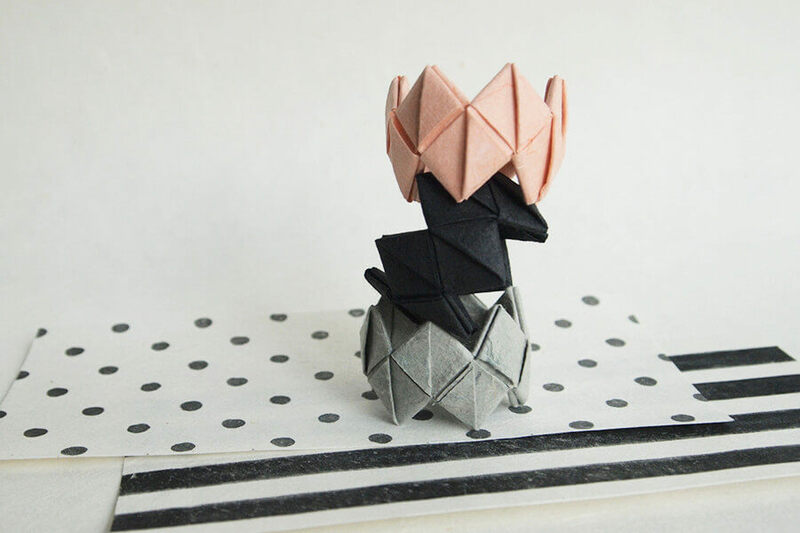 For paper napkins, origami will transform an ordinary paper napkin in to a work of art! Create a boat, a flower, a swan, or a fish using colored napkins. 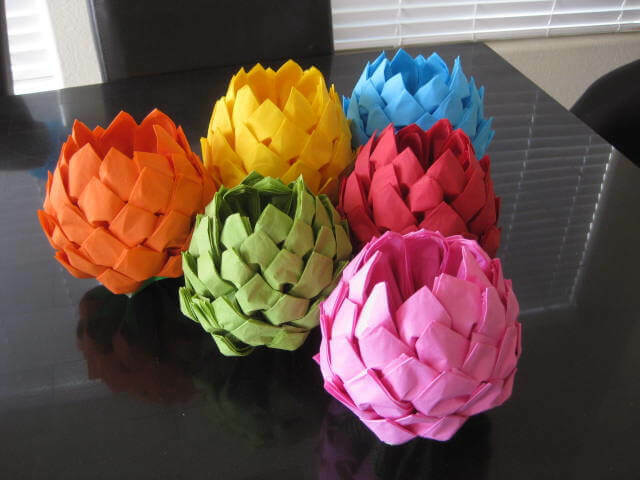 Place your origami table napkin art in the middle of your plate. They can make perfect tableware and table accents too. Cloth napkins can be specially folded and placed on the table as accents. 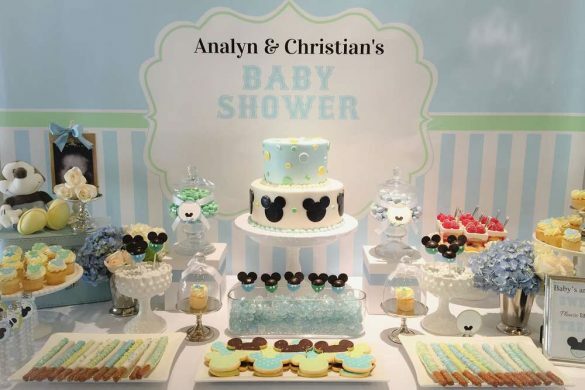 You can also use accessories to fold your napkins along with tableware such as spoons, forks and knives; accessories like a wide ribbon, a cute button, a large pin, a diaper pin, colorful straws or even envelopes. You can make them as simple as you wish or as extravagant and inspiring as you wish. 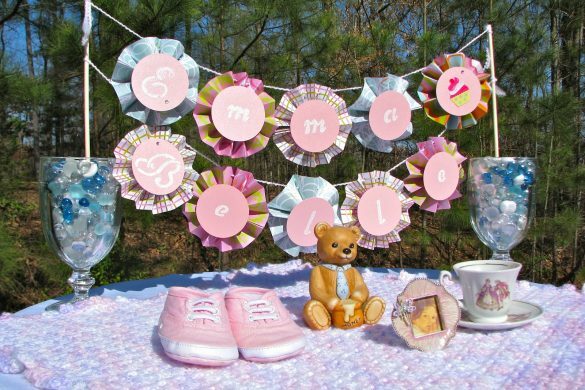 Even the simplest things can make your baby shower napkins become cute accents or keepsakes for enhancing your joyous event. 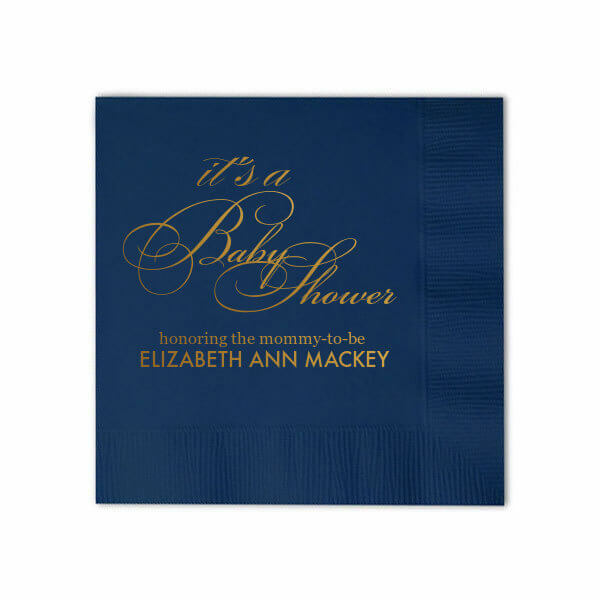 Thanks so much for the napkin ideas! You’re very welcome. 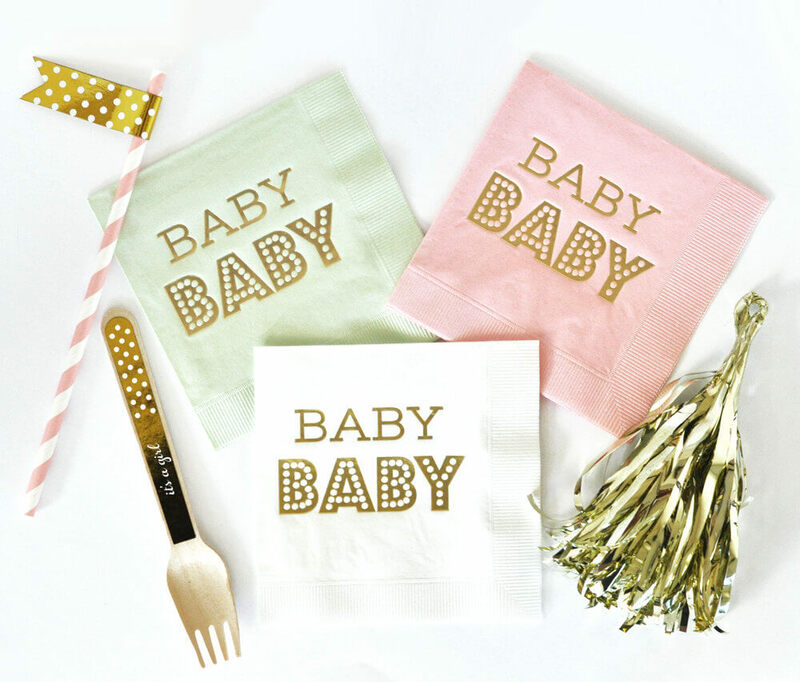 Baby shower napkins are often overlooked as something you can get creative with. 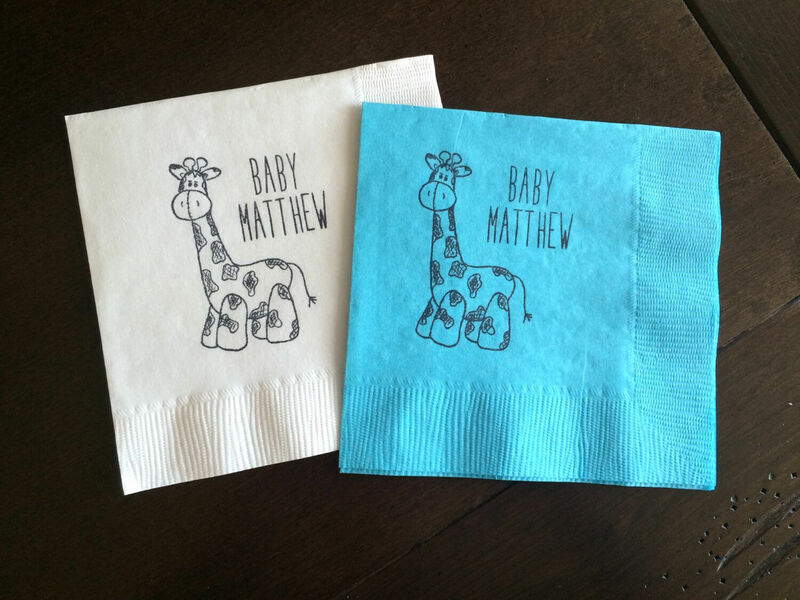 Thank you for including my giraffe napkins! 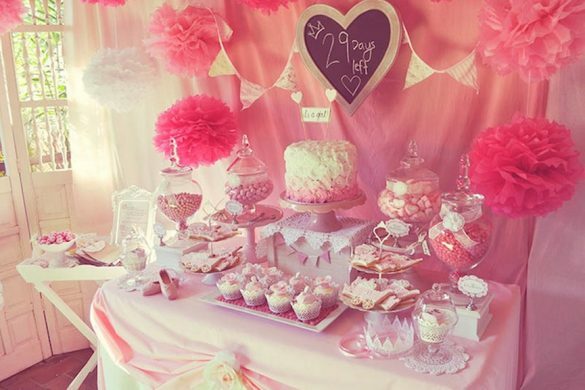 I’m tickled pink! !